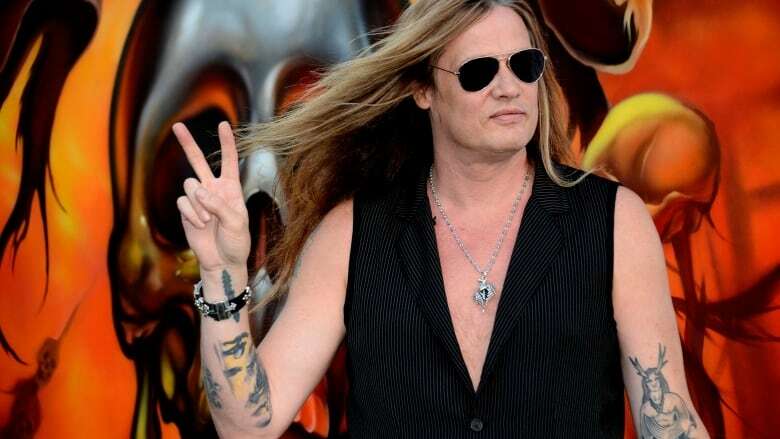 Heavy-metal hero Sebastian Bach opens up about his new memoir 18 and Life on Skid Row, his small-town Ontario upbringing, and his unlikely comeback on The Gilmore Girls. Sebastian Bach's new memoir 18 and Life on Skid Row is not only about his career as a heavy-metal hero but it also recounts his small-town upbringing. "I used to ride my bike from Cavan to Omemee," says Bach of growing up near Peterborough, Ontario. You may recognize Omemee as the hometown of Neil Young. Bach says Young's dad lived two doors down from his own. But Bach still struggles with the passing of his father. Bach's father founded Art Space, a Peterborough art gallery that still exists today, and he is especially tied to Bach's fate in music. "My parents got divorced when I was 10. My dad made the decision to come back to our family to take us all to see KISS because he knew how much it meant to it. So that's my last memory in my brain of my life with my mom, my dad, and my sister and me being together," explains the singer. Bach's first band Kid Wikkid began playing shows in the mid '80s at Larry's Hideaway in Toronto. "I was underage by a lot but I was six foot three with my hair teased up and I had all this makeup on. No one knew how old I was," he admits, "I looked like an Alien." But the heart of rock and roll in Toronto was The Gasworks says Bach. "It would be so packed that there would be just as many people outside the club," and he says "you would have to fight to get into The Gasworks." Bach played many shows there and even saw the likes of Anvil and Nazareth. Bach's fame grew as he became Skid Row's frontman and he remembers when one of their biggest hits almost didn't happen. "The guys who wrote it, Rachel and Snake, they didn't like it. They thought it was too wimpy. They didn't think it was rock enough," says Bach, but he knew they were wrong and the song went on to become a smash hit that's been covered by superstars like Carrie Underwood. Of Skid Row's musical legacy, Bach says, "it's lasted the test of time." Their music is now played next to Rush, The Beatles and The Stones. Of the debauchery he describes in his memoir, Bach says, "I'm just happy to be healthy and alive and some of my friends, unfortunately, are not here to say that."